The Green Girl went with Snowboarding Buddy to the Surf City USA Marathon Expo on Saturday. The highlight of the Expo was getting to meet Janey Jaye and Miss JC from SparkPeople. I even wore my homemade SparkPeople t-shirt for the occasion. Janey Jaye and Miss JC are leaders of the California Dreamin' SparkTeam. This SparkTeam is for people who are participating in the California Dreamin' Racing Series. 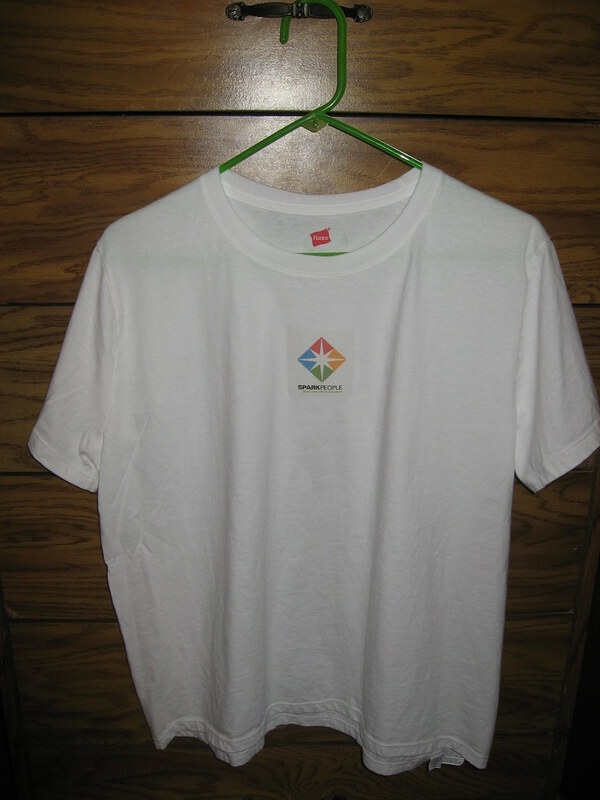 The official race shirts were really nice. I really liked how you had the opportunity to try them on for size. The Expo was much smaller than I had expected. I was also disappointed by the lack of free stuff. Both Snowboarding Buddy and I were hoping to get lots of cool stuff. The only swag I got was a Minute Rice pad of sticky notes. 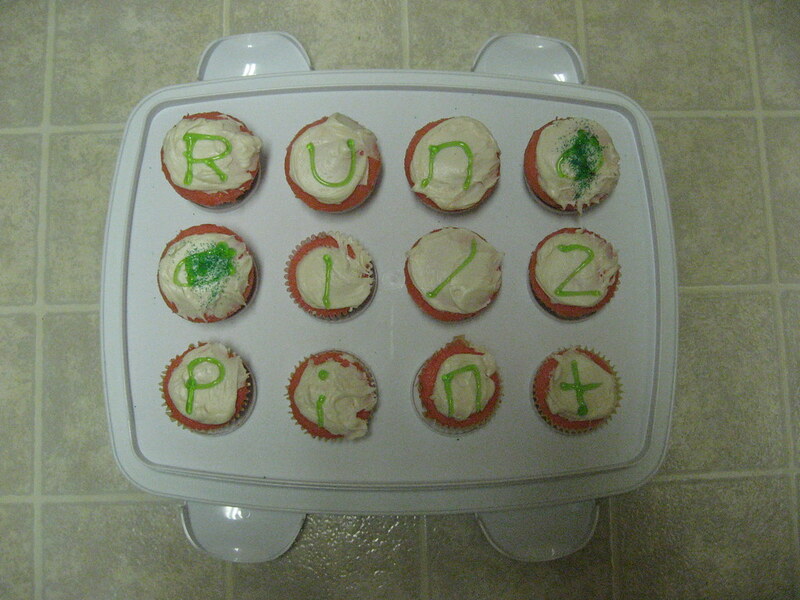 After the Expo, I continued my pre-race baking tradition by making "Run, 1/2 pint" cupcakes. 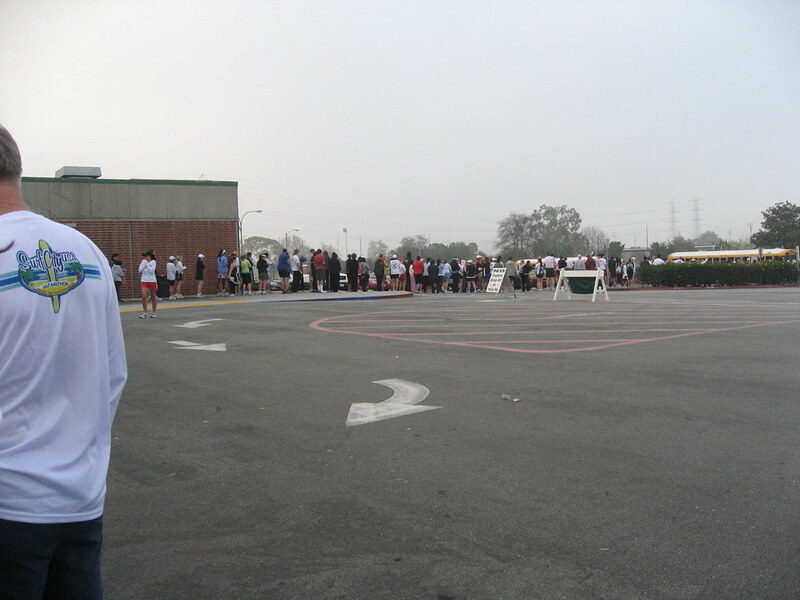 This was the first time I didn't take public transportation to a race and I didn't give myself enough time. 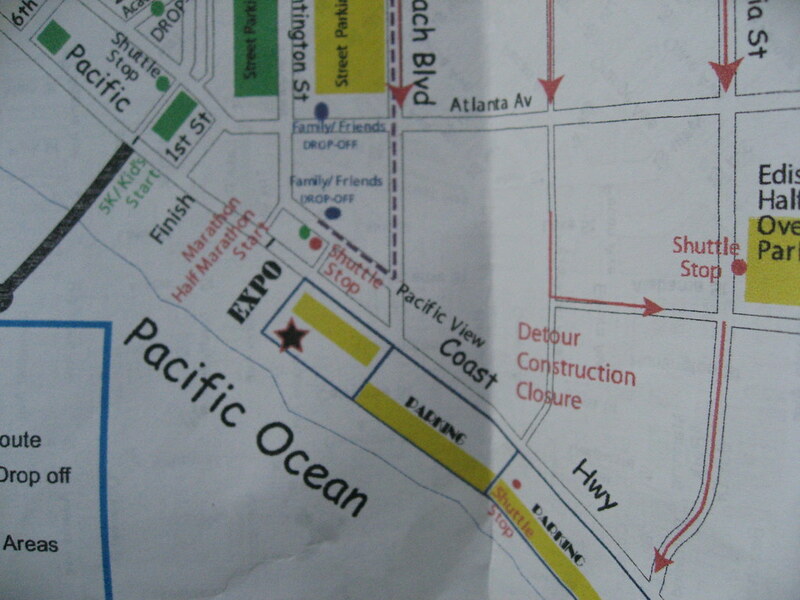 I got stuck in the Beach Blvd. traffic and all the designated parking lots were full by the time I got there. 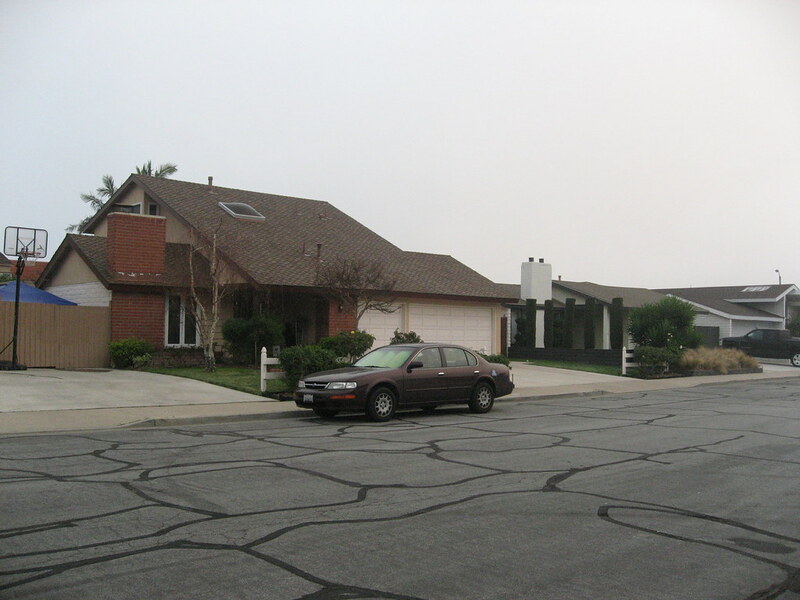 I ended up parking in some residential neighborhood and walking back to Edison High School to catch the shuttle. There was a long line to get on the buses so I stretched my legs a little bit while I waited patiently. According to Mr. Green Garmin, I crossed the Starting Line at 08:04:23. I felt a bit out of sorts because my morning had been so hectic and I missed the usual pre-race rituals but I took a deep breath and just started running. My biggest concern was my sprained ankle. I had it taped up per my doctor's instructions and popped some ibuprofen before I left my apartment. I was so relieved it wasn't bothering me. I was also a little nervous because I wasn't really prepared for 13.1 miles. My longest training run had only been 6.51 miles. 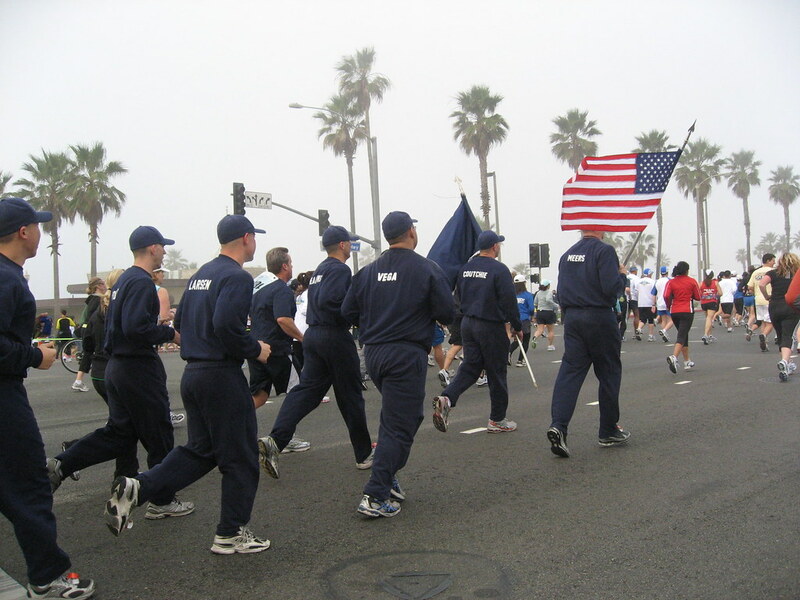 In the first mile, a group of police officers passed me. They were chanting something like, 'This is what we do everyday!' It was definitely entertaining. My Timex watch was programmed for 5:1 run/walk intervals. I kept reminding myself this is only one race but I will have my ankle forever. My goal was to cross the finish line in one piece. The walking resulted in an unexpected benefit. I was able to recover during the breaks and then maintain a faster running speed. I had set Mr. Green Garmin's Virtual Training Partner to a 13:30 minute mile just for fun. I certainly had no intention of actually going that fast with walk breaks. I couldn't believe my eyes when everytime I looked at Mr. Green Garmin, he said I was ahead. I was also surprised when Mr. Green Garmin kept telling me my pace was under a 13 minute mile. I even went under a 12 minute mile a few times. I kept thinking about Kitzzy and I couldn't wait to call her after the race to tell her how much I liked the run/walk method. Between Miles 3 and 4, I ran up the Seapoint View hill effortlessly. I overhead a few runners saying how much the incline was taking out of them and I silently thanked Coach Steve Mackel for all the awesome hill training. I took three sips of Gatorade Lemonade every five minutes during my walk break. After Mile 10, I also ate three Rold Gold pretzels with each lemonade break. It was around Mile 10 when I started feeling tired. Mr. Green Garmin told me I had slowed down to just over a 13 minute mile. The reality that I could beat 03:05:50 and finally break the three hour mark had set in and I was determined. I began telling myself I would get a 'new pair of legs' in less than five minutes. This stategy worked really well. I got a boost of energy that lasted the rest of the race. According to Mr. Green Garmin, I crossed the Finish Line in 02:49:23. My Official Time was 02:49:16. I couldn't believe it, I had done it. I had broken the three hour mark. I found the post-race confusing. 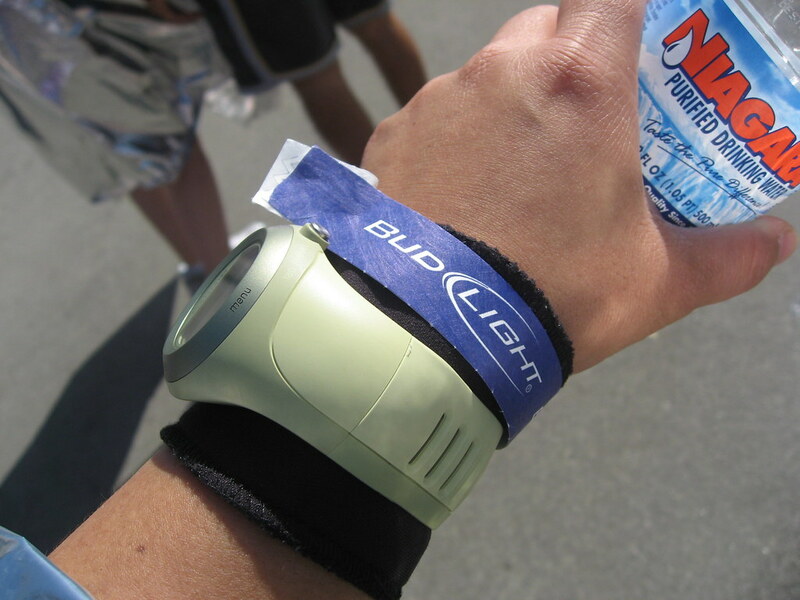 I wanted to get food but a volunteer accidentally directed me to the beer tent so after waiting in a pretty big line, I ended up with a Bud Light bracelet but nothing to eat. Another volunteer directed me to another tent where they were handing out bags. I was craving orange slices (as usual) but unfortunately, inside my bag was a badly bruised apple, a slightly bruised banana, a Clif bar, and Fig Newtons. Suzanne. We all exchanged stories about running and congratulated each other on our shiny, new PR's. I was eager to get home and ice my ankle so I said my goodbyes and tried to locate the shuttle pick-up spot. I ended up passing the group of SparkPeople again but this time Angie Eats Peace was with them. I had to stop to meet her and congratulate her on her very first marathon. As I was walking northbound on Magnolia St., I noticed pieces of glass scattered on the asphalt. Upon closer inspection, I realized someone had broken into one of the cars. A yellow purse was sitting on the seat beside the smashed window. I couldn't help but imagine how the car probably belonged to one of the thousands of runners and how the runner would return to the car with that feeling of accomplishment from crossing the finish line and then they would see this. I felt so bad. I walked by a homeless guy pushing a shopping cart. It was piled high with stuff but he had draped a Steelers t-shirt across it. I had no idea the Steelers were going to be in the Super Bowl. I found out later when my boyfriend was watching the big game and I asked him who was playing. It made me smile to think the homeless guy was representing his team - even if it was on top of his shopping cart.